It’s not Napa, but hell, who would want it to be?Here’s our guide to three glorious days in our very own backyard wine country. 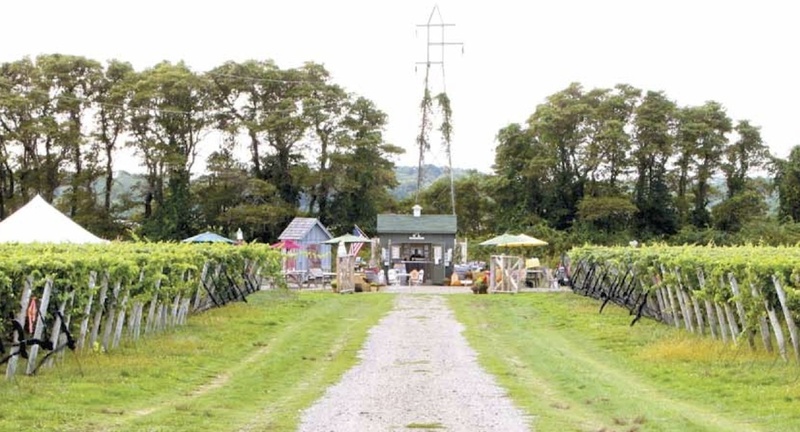 Most of Long Island’s wineries are on the North Fork, and nearly all have tasting rooms that open around 11 a.m. Kick off your first day at the honey-colored, cedar-shingled barn where 1. Roanoke Vineyards (3543 Sound Avenue, Riverhead; 631.727.4161; roanokevineyards.com) runs its tasting room just west of the town of Riverhead. Owned by Wölffer vineyard manager Rich Pisacano, with wines crafted by Wölffer’s talented Roman Roth, Roanoke’s excellent offerings include the 2007 Marco Tullio, a cabernet franc-merlot blend named for Pisacano’s Chilean father-in-law—he’s 93, but he thinks he’s 20—rich with ripe cherries and spice. You’ll need stamina to make it through a day of swirling, sniffing and sipping, so fuel up with a proper lunch at 3. The Modern Snack Bar (628 Main Road, Aquebogue; 631.722.3655; modernsnackbar.com), a gem that’s been satisfying locals since 1950 with big portions of homestyle favorites. Pull a vinyl-backed chair up to a faux-marble Formica table for gravy-topped, utterly tender local duck served with mashed turnips—a perennial favorite that goes great with a glass of Lenz Merlot or Macari Sette from the locally minded wine list. After lunch, head to 4. Paumanok Vineyards (1074 Main Road, Aquebogue; 631.722.8800; paumanok.com) for the gorgeous 2005 Cabernet Sauvignon and the 2009 Chenin Blanc. 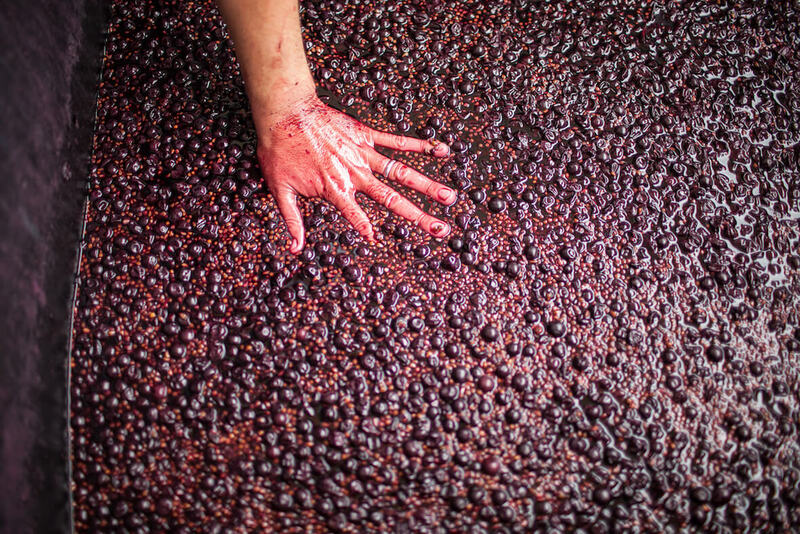 Winemaker Kareem Massoud’s thoughtful, restrained style has garnered attention from the most exacting urbanites (his 2007 Cabernet Franc is poured by the glass at Minetta Tavern). Feeling lightheaded? A new sidewalk on Route 25 now connects the neighboring towns of Aquebogue and Jamesport, letting you sip and stroll in safety. The new path starts right outside Paumanok (if you drove, just ask to leave your car in the lot) and lets you walk the third of a mile to 5. 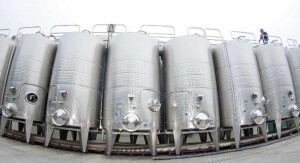 Jamesport Vineyards (1216 Main Road, Jamesport; 631.722.5256; jamesportwines.com). They donate a portion of the proceeds of their East End series of wines to the Southold Project in Aquaculture Training, an initiative to help save local shellfish. Amble a quarter-mile east down the road to the gorgeously serene new tasting room of 6. Sherwood House Vineyards (1291 Main Road, Jamesport; 631.779.2817) in a newly renovated 1880s farmhouse. Gear up your gams for a little more walking with a respite on the cushy shell-gray couch in front of the big brick fireplace, and enjoy the old-world-minded style of winemaker Gilles Martin, who also works at 19. Sparkling Pointe (39750 Route 48, Peconic; 631.765.0200; sparklingpointe.com), the all-new, all-bubbly winery on the main road in Peconic. It’s worth the visit for both Martin’s way with fizz and the almost comedically modern (given the old Potato Barn feel of the East End) tasting room with its bubble chandelier and St. Tropez-ish, airy feel. Take a vino break at 7. Gabrielsen’s Country Farm (1299 Main Road, Jamesport; 631.722.3259) for a little pumpkin picking, or just to enjoy the acres of unspoiled farmland while the sun sets. With the dinner hour ahead, there are walkable options to consider, too—longtime local favorite 9. 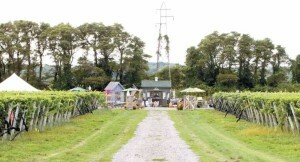 Jamesport Country Kitchen (1601 Main Road; 631.722.3537), the very first winery-owned eatery; 2. Comtesse Thérèse Bistro (739 Main Road, Aquebogue), which opened over the summer, or the comfortably elegant, sustainably focused 8. Luce & Hawkins (400 South Jamesport Avenue, Jamesport; jedediahhawkins. com), which also happens to be one of the prettiest and most luxurious bed and breakfasts on the North Fork—and a great place to call it a day. Start your morning with a house-roasted cup of joe and a plate of house-made pastrami hash and eggs at 11. Love Lane Kitchen (240 Love Lane, Mattituck; 631.298.8989; lovelanekitchen.com). Kill a little time before the tasting rooms open with a stroll down the eponymously named lane to check out the Provençal pottery, French kitchen antiques and rustic signs hand-painted with the name of your favorite North Fork town at 12. La Ferme de la Mer (95 Love Lane, Mattituck; 631.298.4646; lafermedelamer.com). There’s also the irresistible selection at the 13. Village Cheese Shop (105 Love Lane, Mattituck; 631.298.8556; thevillagecheeseshop. com), where you can pick up some award-winning East End cheeses for a superb wine-country snack later in the day. Head north on Love Lane and hang a left onto the Sound Avenue to 10. Macari Vineyards (150 Bergen Avenue, Mattituck; 631.298.0100; macariwines.com), a family-owned, biodynamic winery producing lovely bottles like the herby 2007 Dos Aguas (named for the nearby Long Island Sound and Great Peconic Bay, it tastes of ripe black cherries and plums) as well as its own line of honey from the farm’s hives. Just east is the town of Southold, where you can take a late lunch to go at Erik’s (43715 County Road 48, Southold; 631.765.6264), purveyor of outstanding sandwiches, and head to 16. The Tasting Room (2885 Peconic Lane, Peconic; 631.765.6404; tastingroomli.com), a building that was once a speakeasy but since 2003 has been the spot to sample bottles from boutique vineyards that don’t have their own tasting rooms, like Schneider Vineyards and Bouké Wines. Next door in the same building, check out 17. A Taste of the North Fork (631.734.6100; atasteofthenorthfork.com) for some LI -centric delicacies, like Orient Farm lavender honey or North Fork redwine jelly. Head south to 15. 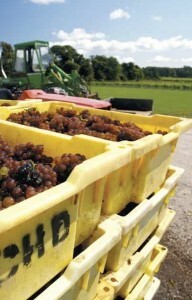 Lenz (38355 Route 25/Main Road, Peconic; 631.734.6010; lenzwine.com), where Eric Frye’s Bordeaux-style merlots have garnered so much attention. After a marathon day of tasting-room trekking, you might not think you have room for one more, but it would be a shame to skip the stunning tasting patio at the rosé-only 18. 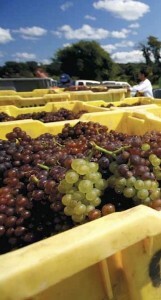 Croteaux Vineyards (1450 S. Harbor Road, Southold; 631.765.6099; croteaux.com). Finish with dinner at the newly opened 21. Noah’s (136 Front Street, Greenport; 631.477.6721; chefnoahschwartz.com), which keeps a healthy selection of local vino to pair with its seafood-minded menu of small plates. Pedestrian-friendly Greenport—downright hopping for an old whaling town—offers a number of choices for staying the night. (See a full list at the North Fork Bed and Breakfast Association site, nfbba.org.) The minimalist, hipster-friendly Greenporter hotel (326 Front Street, Greenport; 631.477.8284; thegreenporter.com), is home to La Cuvée Wine Bar and French Bistro, which specializes in farm-to-table offerings; as the weather cools, its famous “winter white bisque” stars rutabaga, turnips and parsnips. At the Stirling House B & B (104 Bay Avenue, Greenport; 631.477.0654; stirlinghousebandb.com), guests wake to the sourdough strivings of the owner; consider VineTime, their all-inclusive package which includes winery tours, vineyard walks and tastings at top area restaurants. After that spectacular breakfast at Shinn, catch the North Ferry (Wiggins Street, Greenport; 631.749.0139; northferry.com) for a quick $9 boat ride to Shelter Island. Snag a pulledpork sandwich at 22. Kyle’s (27 N. Ferry Road, Shelter Island; 631.749.0579), where you should just decide right now to have one of their outstanding jelly donuts for dessert. Then continue south for a dose of fresh air at 23. Mashomack Preserve (47 South Ferry Road, Shelter Island; 631.749.1001), a pristine, 2,100-acre, protected natural sanctuary that runs along 10 miles of Shelter Island’s pretty coastline—the suggested $2 donation grants you access to hike through its well-marked trails. Wave goodbye to Shelter Island as you ride the South Ferry ($11–$12) to Noyak, continuing on Route 114 through the historic whaling town of Sag Harbor, which has maintained its many charms despite all the Hamptons hype. Travel along tree-lined, winding Sagg Road until it breaks open into rows and rows of pretty vineyards, letting you know that you’ve arrived at 24. Wölffer Estates (139 Sagg Road, Sagaponack; 631.537.5106; wolffer.com). Probably the grandest of all the tasting rooms on either fork, the broad, butter-yellow, stucco building, with its thick doors, vaulted ceilings, German stained glass and sweeping vineyard views, it’s a great place to try Roman Roth’s fantastic wines, like the barely pink, mostly merlot 2009 Rosé or the heady merlot, cabernet franc, cabernet sauvignon and barbera blend that makes up his 2006 Fatalis Fatum. About 200 yards from Wölffer sits 25. Loaves and Fishes (50 Sagg Road, Sagaponack; 631.537.7130; landfcookshop.com), the tiny but pricey purveyor of ultra-gourmet takeout, such as rotisserie-style local duck, coriander-and-lime-drizzled crab cakes, and crusty loaves of bread perfect for a wine-country picnic. For a more cost-conscious option, the Pike Farm Stand next door sells raw veggies and goods from 28. Blue Duck Baked Goods (30 Hampton Road, Southampton; 631.204.1701; blueduckcafebakery.com), about a 10-mile drive away, and a good stop for outstanding pastry, homemade quiche, sandwiches and pretty cupcakes (the mocha are divine). Or hit Bridgehampton’s favorite brunch spot 27. Pierre’s (2468 Main Street, Bridgehampton; 631.537.5110) for BLTs on brioche, Alsatian-style onion and goat cheese tarts, or a two-pound Maine lobster, flambéed with Cognac, dotted with freshly snipped tarragon and snuggled up alongside crispy pommes frites. sip, and much easier a trip from Manhattan. Gothamites love Garden of Eve’s Greenmarket stand, but nothing compares to setting foot on the farm itself. Cooking classes and tours, an impressive on-site store, plus a garlic fest September 25–26. Another great option for those who want to leave the driving to someone else is Signature Tours (631.599.3317; thenorthforkexperience.com), who also offer pickup and drop-off service from LI RR and Jitney stops. 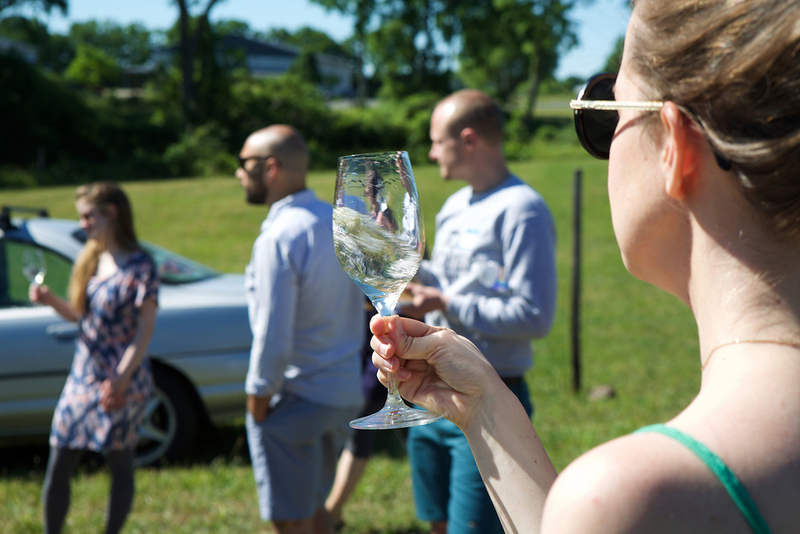 Trips include winery visits, tastings, chats with winemakers, an oyster farming lesson and tasting, plus organic boxed lunches. Presented by Wine Spectator, the weekend of Sept. 24 marks the first annual Harvest wine auction and celebration of eastern Long Island’s fruits of the vine, fields and bays. Bringing together 28 wineries, 22 restaurants and 25 farms from both the North and South Forks, this two-day festival of the senses includes barrel tastings of the ’08 vintages, salons with the area’s most exciting winemakers and chefs, a 10-mile dinner series (with dishes like cold, creamy potato-leek soup with smoked blue fish from Estia’s Little Kitchen and espresso-smoked Long Island duck breast with peaches, microgreens and pickled watermelon radish from A Mano), and the Zachy’s-led wine auction and gala dinner prepared by Keith Luce (of Jedediah Hawkins and the new Luce & Hawkins; and Claudia Fleming and Gerry Haden of lovely North Fork Table and Inn, (57225 Main Road, Southold; 631.765.0177; northforktableandinn.com) held on the stunning grounds of Wölffer Estates. Tickets and reservations at harvesteastend.com.